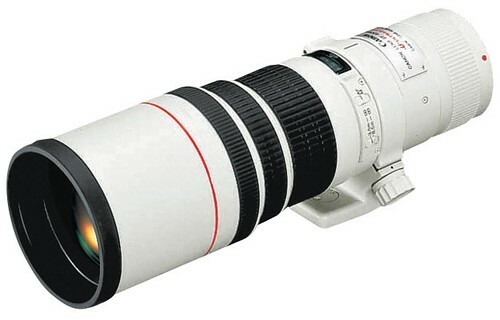 The Canon EF 400mm f/5.6L USM is one of the favorites among sports, bird and wildlife photographers, and is an extremely sharp lens even at f/5.6 wide open – that is, you don’t need to stop it down just to get sharp pictures of very high image quality. Lion and the monkey – superb photos by Viky. Wildlife and bird photos – Snow14 mounted the 400/5.6L lens on the new Canon 7D to shoot a series of photos which have been shared here, and here. Canon 50D plus 400 f5.6 bird photos from East Texas – Features Juvenile Cardinal, Female Indigo Bunting, Male Indigo Bunting, Swallow-tailed Kite, Great Egret, Assorted Waders and Canyon Towee. Birds, in flight and otherwise, by Abby with a Canon 50D – Abby mounted the 400/5.6L on a 50D for this series of bird photos. 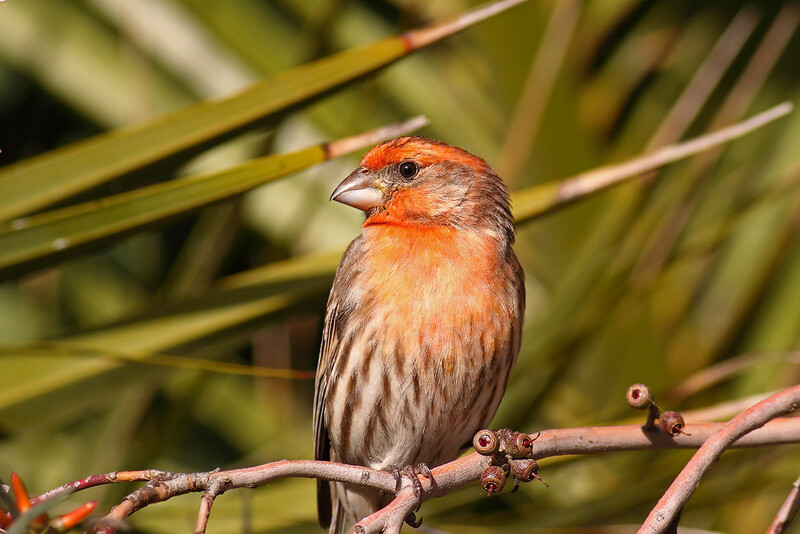 The finch image shows off the nice bokeh on this lens. See more images at Macshark’s bird photo gallery. 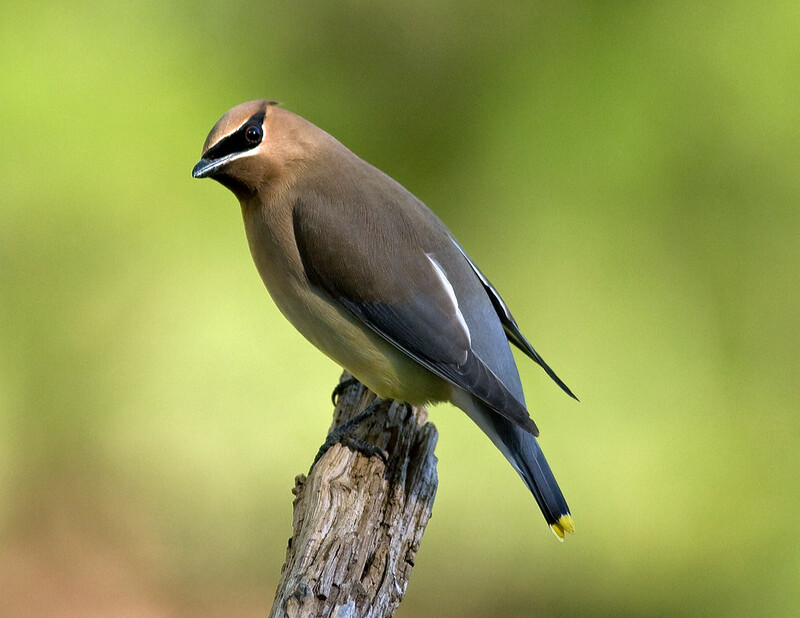 Cedar Waxwing — this photo is my favorite from the set. Landscapes with the 400/5.6L – Joel demonstrated how useful the 400/5.6 can be, especially when you need to capture far-away scenes of snowy mountain peaks. AbBy’s Amazing Birds – Species and location: San Francisco Bay Area; Black-necked Stilt Fledgling at Radio Road, Redwood City, Fledgling Avocet, Dowitcher, Sparrow, Mallard Ducklings, Yellow Legs at Shoreline Lake, Mountainview, and a boring Willet (sic). The photographer shot these with the 400mm f/5.6L mounted on a Canon 30D. This set is truly one of the best photos I’ve seen shot with this combination, and AbBy has more tips on approaching the juvenile birds. View more pics from AmyAbby’s gallery. Ken’s Southern California Variety – Bird species include: a Great Blue Heron, Peregrine Falcon, Dowitcher, Juvenile Black-crowned Night Heron, Osprey (caught a fish), Acorn Woodpecker, Goldfinch and a California Towhee. Camera used was the Canon EOS 1D Mark II N.
This series is an excellent demonstration of the sharpness, contrast and bokeh qualities of the lens. You can view more of Ken’s photos here. Random images from user galleries on PBase.com – Don’t forget to hit the refresh button on your browser to serve up another set of random pictures. You’ll also find user reviews there. This sharp bird photo, shot with a Canon XT / 350D, is a superb example of the kind of image quality you can get with this lens.